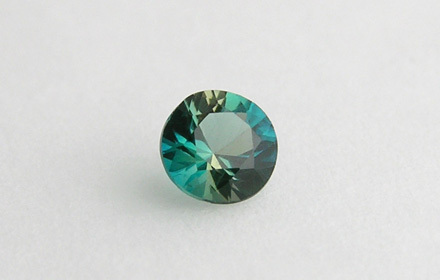 Weight: 0.08 ct; size: 2.78 | 2.75 | 1.75 mm; shape: round; colour: medium dark very strongly bluish green; very slightly greyish; clarity: eye clean; cut: very good; treatment: none. Very clean specimen; very good brilliant style cut. Source: John Bradshaw, Coast to Coast Rare Stones International.